Changing Tides PaddleCraft offers kayak, canoe and SUP (standup paddle board) instruction and training in Connecticut and New York. We are proud that our Instructors are trained and Certified by the American Canoe Association - the benchmark for paddling Instruction in North America. Together our staff span a broad range of paddling disciplines from flat to moving water in coastal and river environments. We bring depth of experience and love of the outdoors to the art of building your paddling skills. We work with key local organizations to offer major educational events such as symposiums, paddlefests and traning weeks that make paddle sport training accessible to the public. Contact us to help plan your paddling event! No events are currently scheduled. Instead we offer you a retrospective of several past events that depict our organizational capabilities. Note that we typically start 6 to 9 months of the scheduled date of an event to put together a planning committee which includes key supporters, informational resources, presenters, facilities support, publicity support, participant identification and contact vehicles, etc. We also attend paddling related events in our region and bring our booth and provide demonstrations in support of your event. Contact us at 860-799-5459 for more information. This event is is complete. 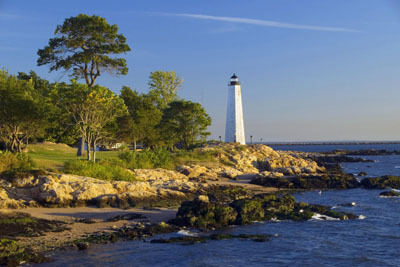 It was scheduled for June 14 at New Haven's Lighthouse Point Park - a day of free presentations, demonstrations and displays for everyone interested in the sport of paddling. This was the third year for this event after five years of similar symposiums on Long Island. Changing Tides PaddleCraft, New Haven Parks and the American Canoe Association collaborated to bring this free to the public event. Many participants and from prior years as well as several new ones joined the team, including clubs, organizations, shops and paddling gurus of all stations. Links below show details for this memorable event. This was the final year for this symposium, as CT State Boating Division and the US Coast Guard, key drivers for prior years, began to focus their support in other directions. This event is completed. Presented by Changing Tides PaddleCraft and Cornell Extension at their Peconic Dunes Camp on the north fork of Long Island, this paddlecraft training program covered two long weekends in late September and early October. 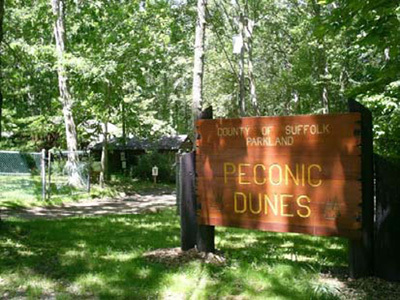 We scheduled ACA Instructor training and certification classes, ACA Skill classes, ACA Skill Assessments and ACA Tip Leader Training and Assessment for kayak and canoe at picturesque Peconic Dunes Camp on Long Island's North Fork. Weekend one started on Friday evening, September 28 and covered Instructor Development Workshops in Coastal Kayaking for levels 1 & 2 ending Sunday and also Levels 3 & 4 ending Monday. There was a meet and greet on Friday evening at a DVD Fest where we invited participants to bring their favorite video and share them over refreshments. Weekend two started on Friday evening, October 5. A similar DVD Fest was held for all participants the first evening. The second weekend completed the Instructor programs with certification exams in Coastal L1 & L2 ending Sunday and L3 & L4 ending Monday. We also invited current ACA instructors to join us for certification updates or upgrades. Saturday and Sunday also provided opportunity for Skills development classes at Levels 1 and 2 and Skills Assessments at levels 1 to 4 for coastal. Details of this event are provided below. We wish to thank Cornell Extension and all of the Instructors and Instructor Trainers that	joined us to provide a high level of training for this event. We also wish to thank our many participants who joined us for this idyllic fall event on the pristine waters of Long Island's North Fork. Hope to see you all again! © Copyright 2017 by Changing Tides Paddle Craft LLC. All rights reserved.